Social skills can be a challenge for children with Asperger’s and other forms of autism. Although your child undoubtedly wants to make friends, he or she might not know how to do so. Existing friendships can sometimes be compromised by inappropriate social interactions or other atypical behaviors. Although it can be discouraging to watch your child struggle with friendships, there are effective strategies that can help him or her. Talk to an ABA therapist about building your child’s social skills. Your child’s ABA therapist will likely guide your child through applied activities designed to help him or her learn how to respond to various situations. You can continue this practice with your child at home. Set up simple, straightforward scenarios. You can pretend to be a kid at school who tells your child, “Hey, Jimmy. I really like the T-rex on your shirt.” Your child can practice saying something like, “Thanks, Alex. I like your shoes.” This situation teaches your child that it’s generally expected to reciprocate with compliments. At an ABA school, your child can practice interactions in a structured setting . But he or she will also need real-world practice with typically developing children. Consider enrolling your child in an enrichment activity that suits his or her interests, such as a science club or chess club. If your child has autism and your family lives in Plano or the surrounding areas, call The Behavior Exchange today at (888) 716-8084. At our ABA school, you’ll find caring professionals who use evidence-based methods to help children with autism develop social skills. 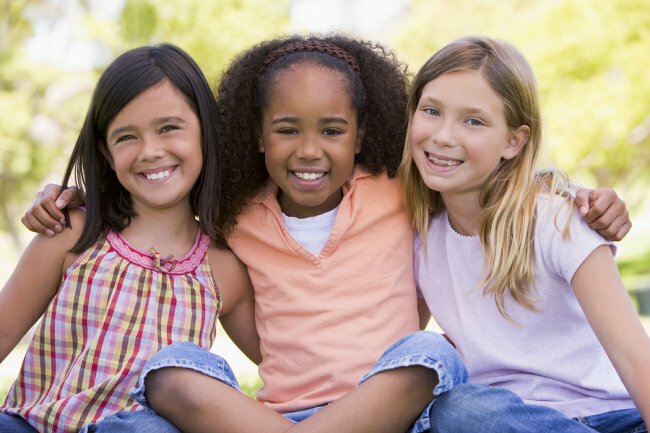 Your child can learn how to make new friends in our social skills group. Applied Behavior Analysis (ABA) is an intervention for children with autism spectrum disorders (ASDs), and is beneficial for children experiencing a wide range of symptoms. It’s a common misconception that a child with Asperger’s syndrome is always high functioning or that a child with classic autism is always low functioning. In fact, every child with any type of ASD has his or her own unique strengths and deficits, and can benefit from individualized ABA-based interventions. There are many types of therapies available for children with Asperger’s syndrome and other ASDs. Most of these therapies lack clinical evidence to support their effectiveness. ABA therapy is the only intervention that has decades of clinical evidence to prove its effectiveness. Parents of children with autism are often so anxious to help their children that any type of therapy may sound appealing. Yet, choosing the right intervention will make the difference between a child reaching his or her full potential and a child continuing to struggle. When Should Children Begin ABA Therapy? Since children with Asperger’s syndrome are often perceived as high functioning regardless of their actual deficits, they may experience delays in beginning behavioral intervention. ABA therapists agree that the earlier a child begins ABA therapy, the better the outcome is likely to be. As soon as a child receives a diagnosis of an Autism Spectrum Disorder, including Asperger’s syndrome, or as soon as the parents suspect the child is developing atypically, the child can be evaluated by an ABA therapist. How Is ABA Individualized for Each Child? Before an ABA therapist develops a treatment plan, he or she conducts a comprehensive evaluation of the child’s needs. For example, children with Asperger’s syndrome may be more likely to have strong verbal language skills, yet struggle with socio-emotional skills. An ABA therapist can customize the intervention to involve the child’s unique strengths and interests. For example, a child who loves playing ball may learn about turn taking with this activity. Here at The Behavior Exchange, we strongly believe that every child deserves the opportunity to live life to the fullest. Our autism treatment center near Dallas only uses clinically proven interventions that are based on the principles of ABA therapy. Give us a call at (888) 716-8084 to schedule a consultation with a caring ABA therapist.